Captivating viewing demands undivided attention. Our new QLED TV range strips away the clutter and hassle of conventional TVs, ushering in a new era of smarter entertainment and sleek style. – the way viewing should be. Finally, a TV that stays brilliant in any light. Individually controlled LED technology precisely adjusts the scene’s brightness and darkness, with Ultra Black anti-reflection to minimise any distracting glare. 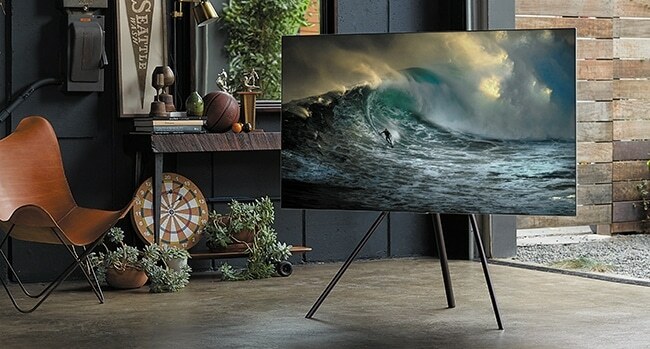 *QLED TVs have received verification from world-class testing and certification association, Verband Deutscher Elektrotechniker (VDE), for its ability to produce 100 percent colour volume. 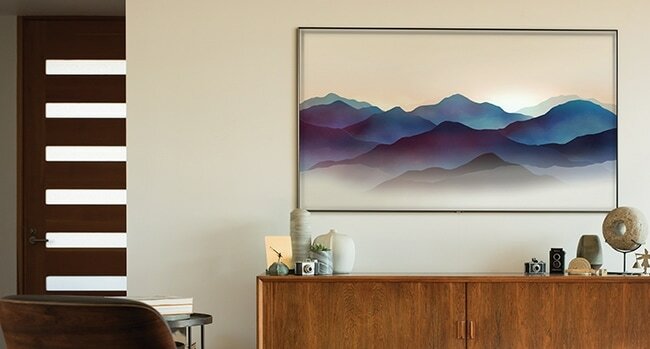 With one clear connection cable and no extra clutter, every QLED is streamlined so the picture takes centre stage. Ambient Mode allows you to display subtle artwork when the TV is off, or create a pattern that blends seamlessly with the surrounding wall. Spend more time watching and less time searching for the remote. Visit your nearest retailer to find out more about our QLED introductory offers. browse their exclusive QLED introductory offers now.